Just about every home entertainment product comes with a remote control, but, often times, it can only be used to operate that one device. Although some TV remote controls do have the ability to control other devices within the same brand (most LG, Samsung, and Sony TV remotes can be used to control their respective DVD/Blu-ray/Ultra HD Blu-ray disc player models or vice versa) most consumers desire an all-in-one remote control solution that can operate their TV and other devices across multiple brands. A Universal Remote Control provides a way to operate basic and, in some cases, more advanced features of home entertainment devices from several product brands. The types of devices that can usually be controlled by a universal remote include TVs, CD/DVD/Blu-ray Disc players, VCRs, home theater receivers, soundbars, cable/satellite boxes, and, in some cases, game consoles, and media streamers. In addition, while most universal remotes require you to press buttons, there are some that feature a touchscreen, much like a smartphone. Although the word "universal" implies that such a remote controls everything, in reality, they have different levels of "universal control." Pre-Programmed (aka Multi-Brand) — This capability allows the remote to be used with a limited number of devices from select product brands without further programming. Learning — This feature allows a remote to "learn" remote control commands of other remotes by pointing the Universal and dedicated device remotes at each other and programming each command one-at-a-time. Programmable with a Code — This feature allows the remote control to be programmed by typing in a special code designated for specific brands and devices provided by a printed or online list, or by connecting the remote to a PC via USB and inputting the device to controlled and the code directly from a special website. Programmable Without a Code — Most programmable remotes also include a feature that can scan for a needed code via a series of steps outlined in the user guide, without the need to actually entering the needed code. In addition to programming, a universal remote control needs to communicate the needed commands to the targeted device. IR — This is the most common method that remotes use to control devices. Each time you touch a button on the remote it sends out a specific series of infrared light pulses to a sensor located on the front of the TV or another device. The device then executes the command. This requires clear line-of-sight between the remote and the device. If that is not possible, accessories such as an IR Repeater or IR extender can be placed between the remote and the target device that can retransmit the pulses using its own IR beam or electrically via a cable that is connected to an IR sensor input connection available on selected devices (such as a home theater receiver). Also, some soundbars have built-in IR pass-through for those cases when it blocks the IR signal from the remote from reaching the TV. RF — As a solution to the light-of-sight limitation, some universal remotes incorporate an RF (radio frequency) transmitter. However, although this allows you to control devices that are placed inside cabinets or otherwise obstructed, not many controllable devices have RF receivers that can be used with an RF remote. One solution is to transmit the RF commands to an external RF receiver, with the receiver then resending the signal in infrared from the receiver to the device. For additional flexibility, many RF remotes also incorporate an infrared option. Wi-Fi — If a universal remote control incorporates Wi-Fi, you can control some smart devices through a home network, such as lights, security cameras, door locks thermostats, and window shades. Using a variety of apps, this type of remote can also control both device functions and content access, such as streaming audio and video. This is more commonly available with smartphones in conjunction with Wi-Fi supported TVs, home theater receivers, or a hub that receives the Wi-Fi signal and then relays the command information via IR to the device. However, there are also handheld remotes that can also be used in conjunction with an external control hub that relays commands from the remote through infrared and RF in addition to Wi-Fi. Bluetooth — Some universal remotes incorporate control via Bluetooth. This is mostly applicable as an option for controlling Roku streaming devices, as well as some game consoles. This means that some universal remotes may have the ability to use Bluetooth for controlling some devices, and IR or RF to control other devices. All universal remote controls can perform simple tasks, such as raising and lowering volume, changing channels, selecting inputs, and for playback devices, play, pause, rewind (reverse)/fast forward, while some can also be used with advanced features, such as sound, picture, and other settings. However, some remote controls can also perform groups of tasks (referred to as Macros or Activities). For example, you may be able to execute a task with one button push or touchscreen press, such as turning on the TV, selecting the input your DVD or Blu-ray Disc player is connected to and have it start playing the disc (provided you remembered to load one into the player first). A more complex activity or macro task might be to turn on the TV, select the input that your home theater receiver is connected to, turn on a home theater receiver, turn on a specific source connected to the receiver, start the source playback, lower your room lights, and adjust the thermostat, all accomplished by the push of one button or single icon on a touchscreen. A growing number of Universal remotes also provide access and control of Smart TV features. There are also some remotes that are compatible with streaming devices, such as Roku and Apple TV. Although a universal remote is the most common way to get rid of remote control clutter, there are some interesting alternatives that can be used to enhance or limit the need for a hand-held universal remote. Voice Control — With the increasing popularity of voice assistants, such as Google Assistant and Alexa, some devices can be directly controlled via a Google Home or Amazon Echo-type device (look for devices that state "Works with Google Assistant" or "Works with Alexa"), or you can send your commands through a Google Home or Amazon Echo, and the Echo, in-turn, will communicate with a universal remote to execute the control commands. An example of this is the Logitech Harmony Elite, Companion, and Pro series remotes. HDMI-CEC — If your TV and the rest of your components (the same or different brands) are connected via HDMI cables, another universal-like remote control option is HDMI-CEC. This alternative allows control of basic functions by using a universal remote or the non-universal remote control that came with your TV. For some HDMI-enabled TVs and devices, HDMI-CEC is automatically enabled, so you can use it without further setup. However, in most cases, you need to activate it on your TV and other devices from an onscreen menu. Check out more about the capabilities and limitations of HDMI-CEC. 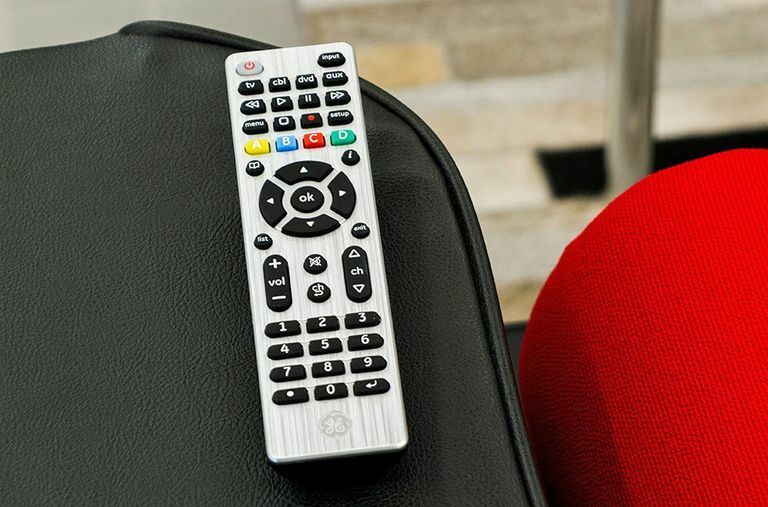 A good universal remote control can go a long way to make using TV and additional home entertainment gear a lot easier, and definitely more stress-free, but is not always a complete replacement for the original. Some universal remotes may only control everyday basic functions (volume, channel changing, input switching), while others may provide access to advanced picture and sound adjustments, as well as other features. Also, never toss your original remotes. While you might not need them for months at a time (or longer), keep them all together in case you need to access functions that the universal remote can't. Having the remote comes in handy if you were sell any of your equipment. How many devices you need to control. How many programming options you might need to access. How extensive the control options are.